It is that time of the month again - for My Monthly Roundup. As usual I share my Instagram pics from behind the scenes so to speak, but you can share any kind of roundups you want. 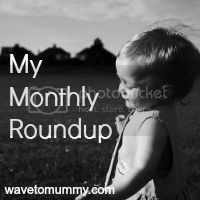 Have a look here if you want to know more about the My Monthly Roundup linky. As for my June, it was a pretty busy one as always. 1. 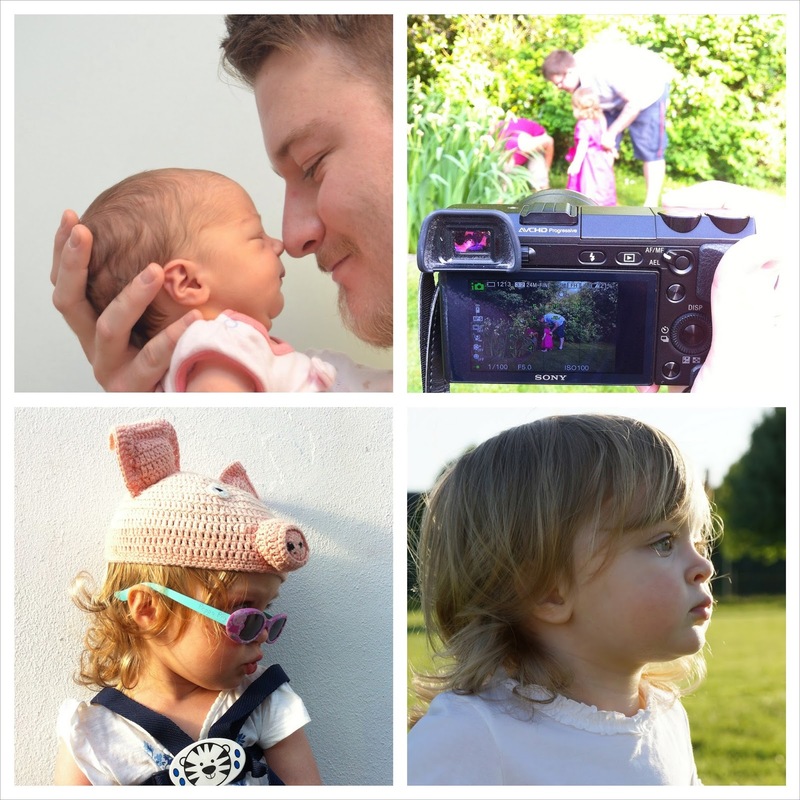 My monkey turned two years old - and looking at that picture where she was just 3 days old, nose to nose with her daddy, is just incredible. Where did the time go? 2. 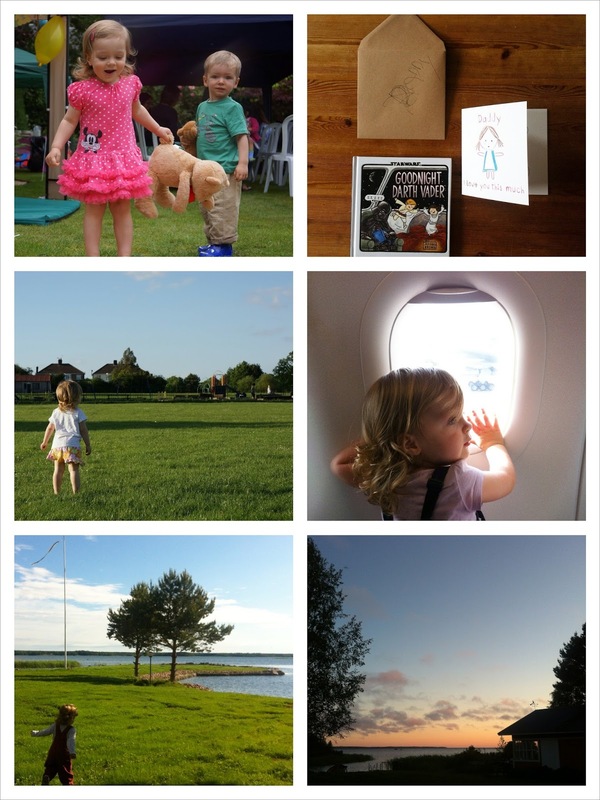 We had a birthday part at Nanny's and I took loads of pictures (which I still haven't updated on the blog, oops!). 3. Her little piggy hat from a year ago still fits, just, so we have been wearing it with her Peppa Pig sunglasses, aww. 4. I took lots of portraits of her on her second birthday and I just can't believe where my little baby has gone. A big girl now, two years old. 5. We had lots of birthday parties to attend in June - a birthday party dress with ruffles and polkadots is just what a little girl needs isn't it? 6. A Stars Wars obsessed daddy got a little Star Wars inspired present from his little girl (OK, mummy may have sourced and financed it...). 7. We are soon moving away to a new neighbourhood - we will miss this park with so many happy memories. 8. At the end of the month we hopped on a plane - and I have to say, flying with a toddler is _exhausting_ to say the least. She loved it though, and all I heard was "mummy, mummy, plane, plane, wheeee" for pretty much hours. 9. In Finland we went off to my parents summer cottage at the sea. Bliss. 10. 11PM that was the view - not even a sunset, but a dusky sky. Beautiful. I had just come out of a beach front sauna, enjoying the view while relaxing in the heat. The linky explanation can be found here - feel free to link up below! Thank you :) I really like Instagram and am trying to make more of an effort with it now, and try to do a picture a day and follow some more folk. It is a lovely social media!